This title explores the dynamics of television, identity, and cultural communication, providing a new lens for encountering, interpreting, and judging American culture and the American identity. America has long exported its network and cable programming abroad, but with a changing world comes a changing dynamic. As global centers of power shift, and wealth becomes redistributed, and perhaps even re-centered, vast audiences which have never before had contact with American television will begin to gain access to the full wealth and abundance of American programming. The opening of new markets and new audiences, particularly within the growing superpowers of China and India, presents us with a novel situation. It is one thing for a show like The OC to be played in a nation like England, where the cultural and religious differences with the United States are not that profound, and quite another for it to air in a nation like India, where arranged marriages, the caste system, and pervasive poverty are still everyday realities. 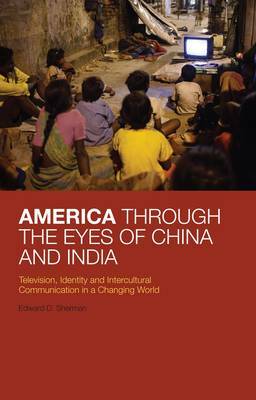 "America Through the Eyes of China and India" explores the dynamics of television, identity, and cultural communication, providing a new lens for encountering, interpreting, and judging American culture and the American identity.